School is in full swing and we are adjusting to my 1st grader’s new full-day school schedule – which includes packing a lunch everyday. 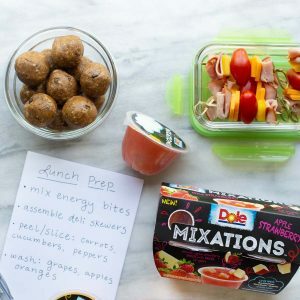 I’ve partnered with Dole Packaged Foods to share a few lunch-packing tips! 1. Prep healthy options in advance. I’ve been chopping up bell peppers, carrots and mini cucumbers (my kids 3 favorites) at the beginning of the week so they are ready to grab and put in lunchboxes. It’s also nice to have veggies prepped and ready to go for my toddler and I when we eat lunch at home. 2. Get kids involved. My son is much more likely to eat what’s in his lunch when he helps pack it! I like to give him a few fresh options and a few packaged options to create his own lunches. For pantry items I’ve been keeping things like Dole Fruit Bowls, granola bars, crackers and popcorn on hand. For fresh items we usually have fruit, veggies, hummus, cheese, and lunch meat. 3. Pack lunches the night before. 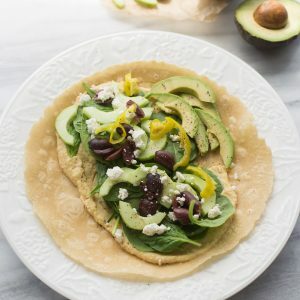 Having lunch ready to go (rather than throwing something together 10 minutes before heading out the door) makes mornings so much smoother! 4. Stick to the grocery budget. Going to the store once a week helps us stay on our grocery budget. We usually go grocery shopping Monday or Tuesday and sometimes after a full week we’ve run out of fresh produce. I always keep frozen, canned and jarred fruits and vegetables stocked for when this happens! 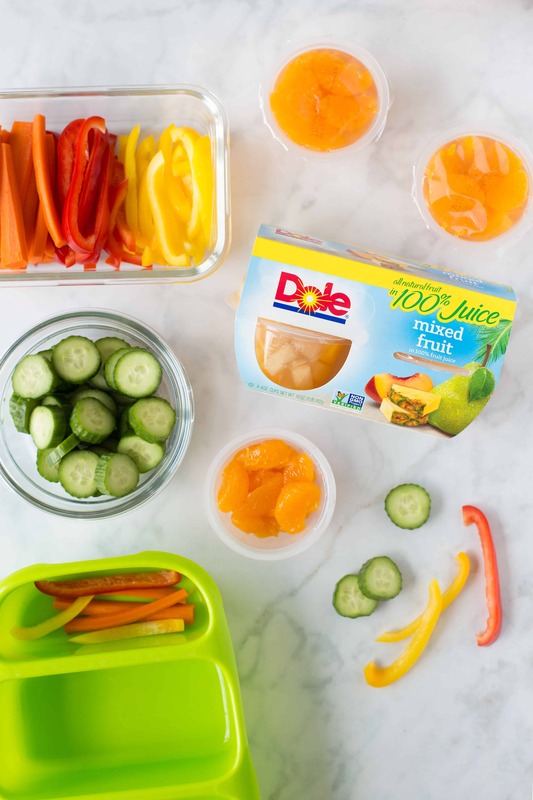 Dole Fruit Bowls are easy to keep in the pantry to add to a packed lunch when you’re needing to go to the store. We still have more to learn but these tricks have helped! 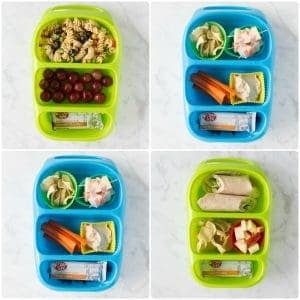 What are your tips for getting school lunches prepped during the week?